Knowledge Management activities are often pathways created as a consequence of doing business and normally represent the shortest route to an individual performer or group getting their jobs done. A desire path (also known as a desire line, social trail, goat track or bootleg trail) can be a path created as a consequence of foot or bicycle traffic. 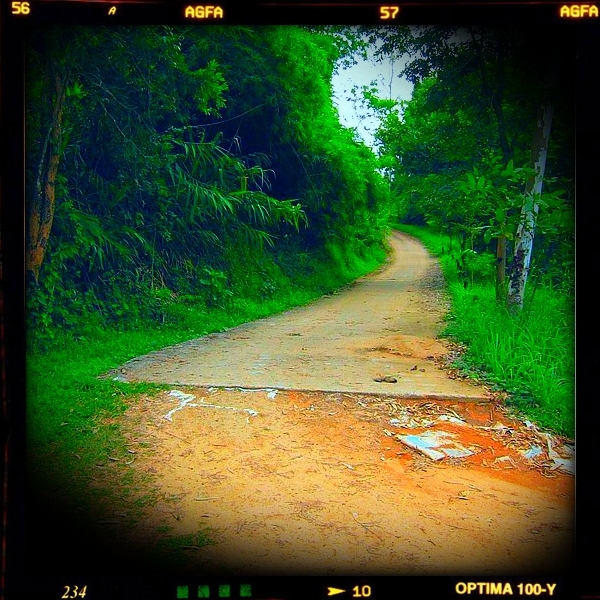 The path usually represents the shortest or most easily navigated route between an origin and destination. The width of the path and its erosion are indicators of the amount of use the path receives. Desire paths emerge as shortcuts where constructed ways take a circuitous route, or have gaps, or are lacking entirely. Looks at activities, patterns, work flow, behavior, sentiment and seeks to identify that “desire line.” People are looking to accomplish a goal, a task or some objective right NOW at this moment. They seek to remove impediments and increase opportunity for successful outcome. People do what they “have to do” to make things work. For over 30 years or so management and leadership teams talk about “silo thinking” in fact, I was on board with the mentality of breaking down silos for a long time. I am starting to change my mind on this because it really goes against the forces of nature. The reason why people work in silos is because it is a natural way to work. Instead of wasting resources on breaking down silos, we should help the silos become stronger and consider allowing the silo communities to reenforce and engage their areas of expertise as they feel comfortable. We do need to share information from silos but it should be the right information at the right time as needed. 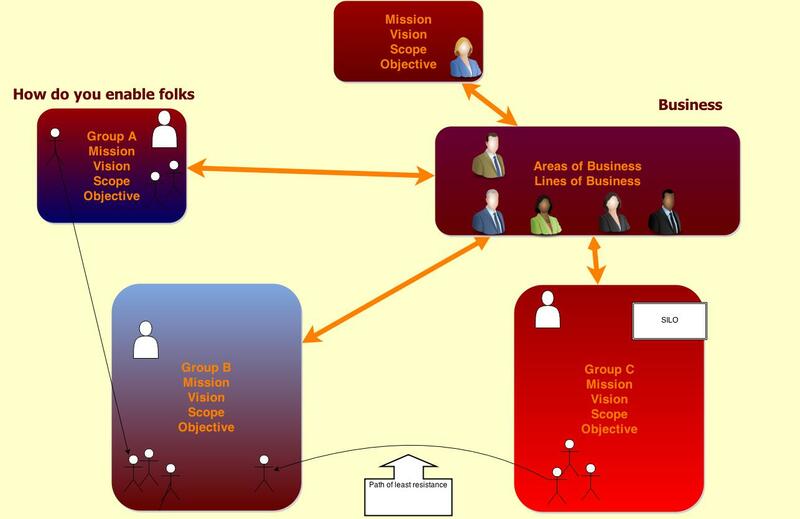 People and organizations operate in the form of a silo because this is how groups work. A person can work in a group or silo and interact with others in other groups and other silos. We shouldn’t seek to change this at all. What we need to do is (INFORM) the group and the individual in ways that make sense. That is why Twitter works and other social apps like Yammer. Small bits of information in the form of a question, answer or statement set to inform an individual or group. Raising the level of awareness where it makes sense but leaving the groups and communities as they feel comfortable intact. Instead of creating a path.. why aren’t we looking at what people do after the snowfall? — What happens when a new member joins a team? How do they learn to collaborate, communicate, cooperate and acculturate? Instead of creating a path.. why aren’t we looking where people are walking in general?– What happens when we ask staff what they do and what they believe they need? Instead of creating a path…why don’t we lower barriers? –What are impediments that our staff have as they perform their jobs? How can we move boulders out of their way? Fundamentally… we should seek to enable through learning what people do as opposed to providing something we think they need. Previous What you have isn’t what you got!